Ultrasonic testing is a form of non-destructive testing which utilizes high frequency sound waves to measure the thickness and condition of materials. Nearly all materials can be tested using ultrasonic sound. 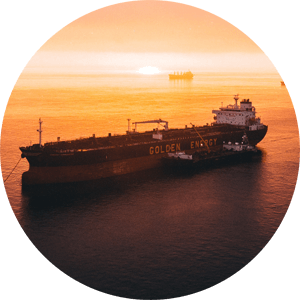 In the marine industry the most common application of ultrasound is the identification & quantification of corrosion on vessels constructed of steel & aluminium. It can also be used to measure the thickness & integrity of composite structures. 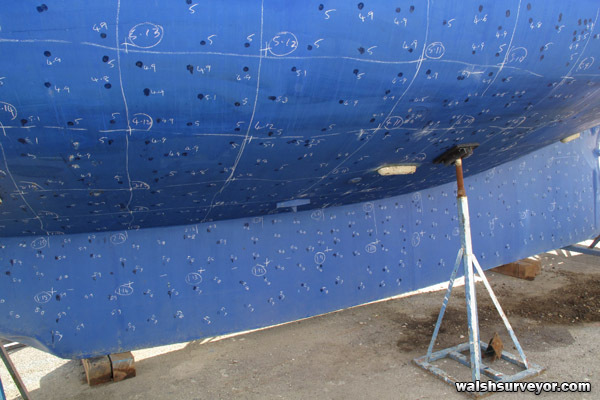 Precise measurements of the hull plating & internal framing provide the experienced surveyor with an excellent indication of the condition of a vessel. All ultrasonic testing is conducted by a trained ultrasound technician. 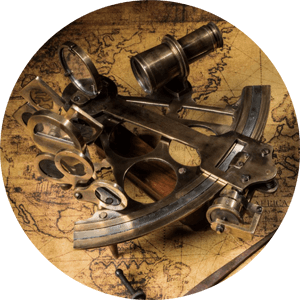 Global Marine Services uses the finest ultrasonic testing equipment. 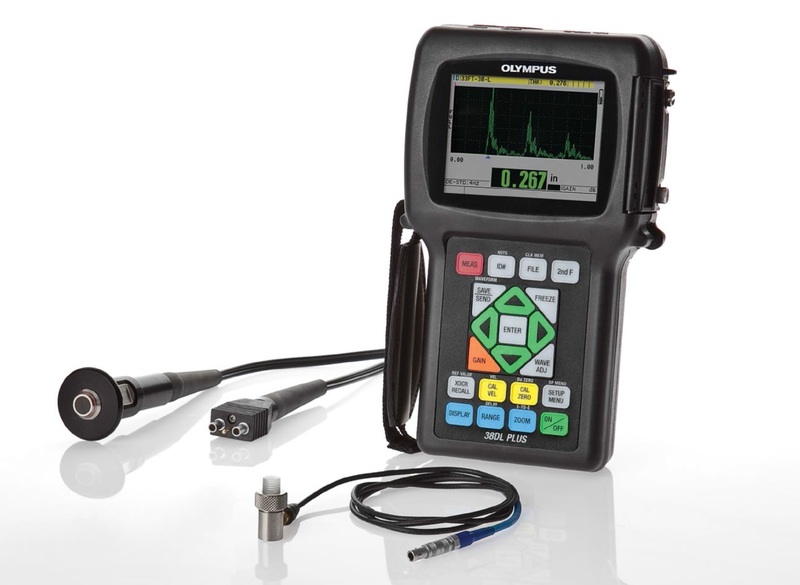 The Olympus 38DL Plus is a fully featured & versatile instrument that accommodates an array of single & dual element transducers especially suited for the survey of steel, aluminum & composite structures. 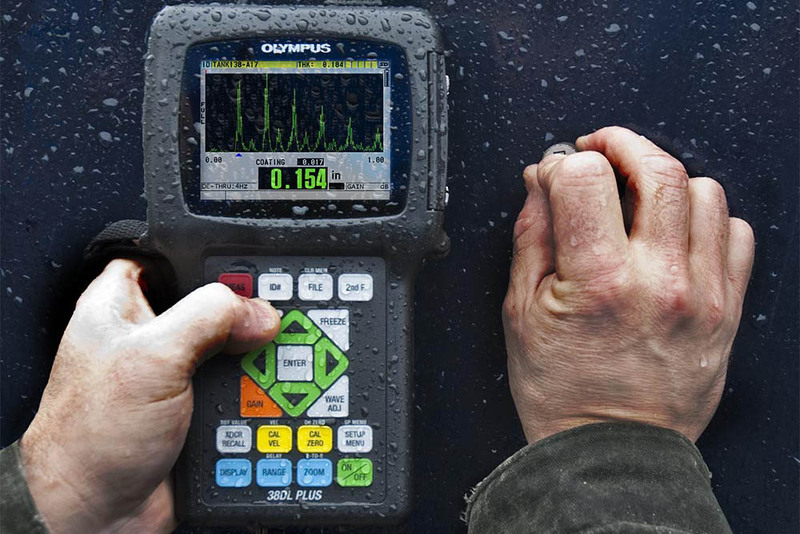 The device utilizes patented Olympus "Thru-Coat" technology to perform thickness measurements through suitable protective coatings using only a single ultrasonic echo. This offers greater accuracy over the conventional echo to echo method when measuring heavily corroded surfaces. The "Thru-Coat" function also calculates & displays the thickness of protective coatings. The instrument can perform more traditional echo to echo thickness measurements in cases where "Thru-Coat" is unsuitable. 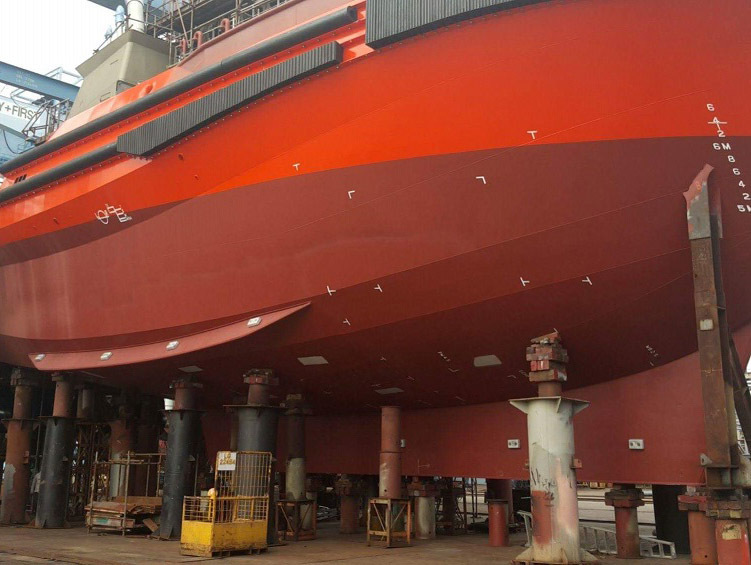 The Australian Maritime Safety Authority requires commercial vessels with metallic hulls to conduct ultrasonic hull thickness testing at intervals not exceeding 10 years and 6 months. 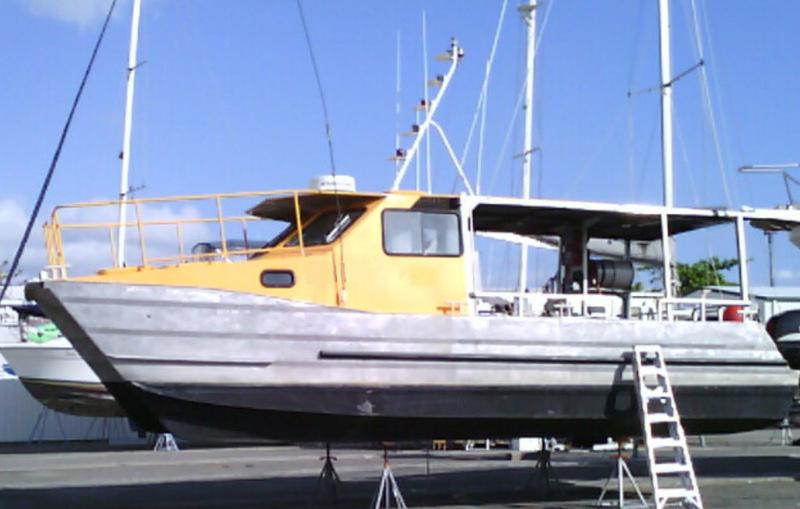 Global Marine Services is accredited by AMSA to conduct surveys on domestic commercial vessels. 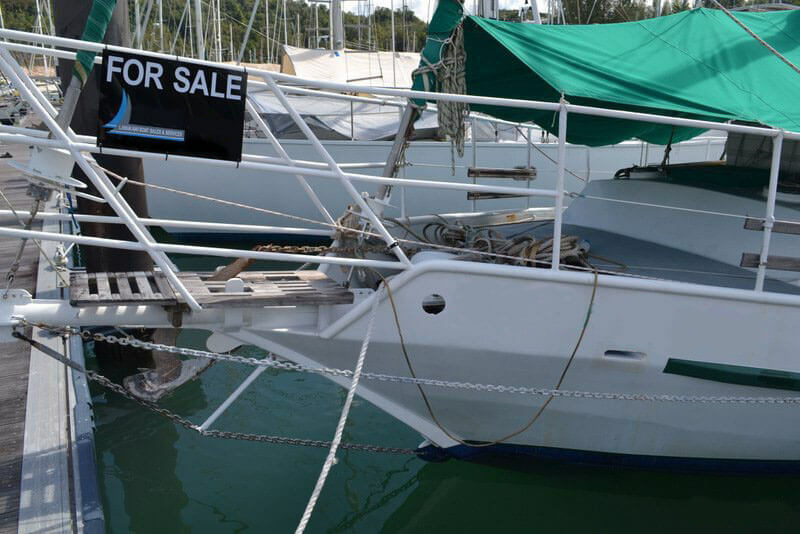 Are you considering the purchase of a vessel constructed of steel or aluminium? An ultrasonic inspection could save you significant expense. Please contact Global Marine Services to discuss your needs. 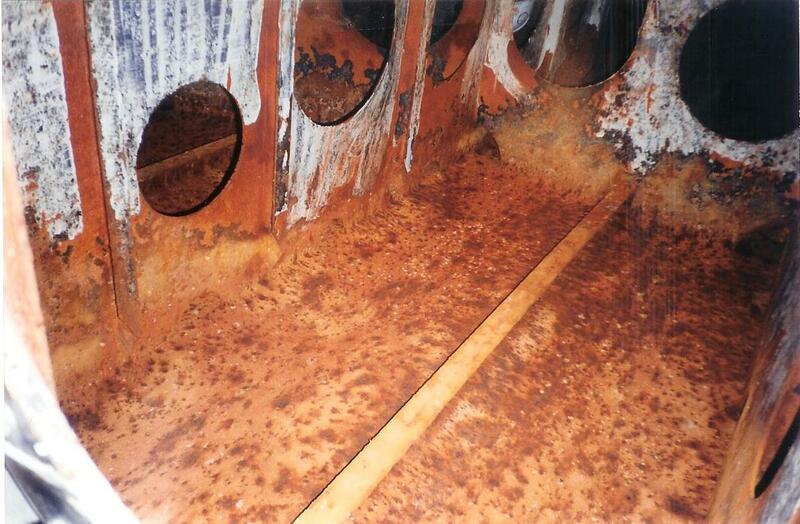 If you own a steel vessel then corrosion is always of some concern. Unfortunately the observable external condition of the hull is often a poor indicator of the state of the steel plating. 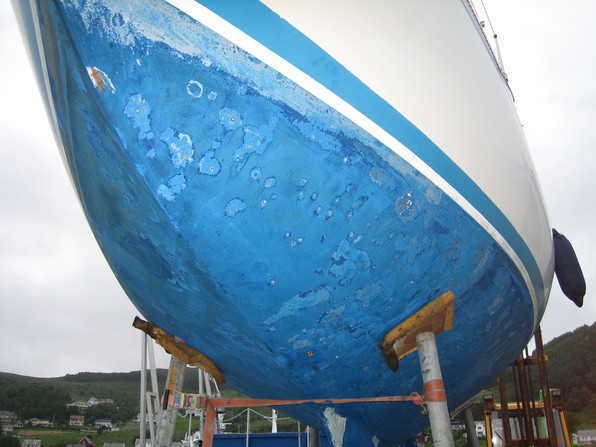 A steel hull will frequently experience greater corrosion internally then externally. 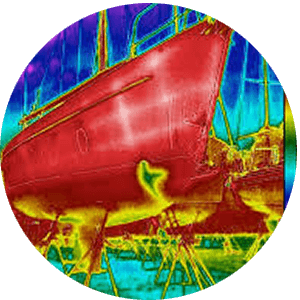 Ultrasonic thickness testing can be used to identify corrosion in situations where the internal parts of the hull are inaccessible for inspection. 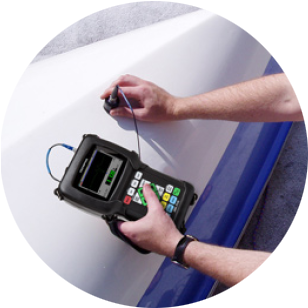 Modern thickness testing techniques do not require the removal of antifouling or protective coatings. We provide quick & efficient inspections with a comprehensive written report of all recorded thicknesses. If you are concerned about the condition of the steel on your vessel, please get in touch. Aluminium vessels are prone to oxidation on the internal shell plating and frames. Without sufficient anodic protection they are also prone to galvanic corrosion on external hull components. 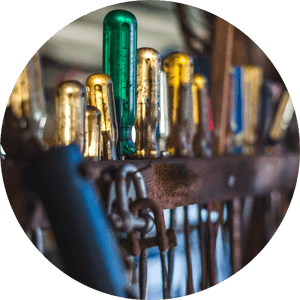 In many instances all of the internal plating of a vessel cannot be accessed for inspection. Ultrasonic thickness testing provides a convenient means to accurately assess the true condition of these areas. To discuss an inspection of your vessel. Using special low frequency transducers, ultrasound can be used to measure the thickness of fibre reinforced plastic structures. Ultrasound can also be used to identify delamination, cracking or other structural defects. Ultrasonic thickness testing equipment consists of an electronic tester, a transducer & a connecting cable. To perform a thickness measurement, an electronic pulse generator creates an electric pulse & directs it to the transducer via the connecting cable. The transducer converts the electric pulse into a sound wave which it conducts into the test material. The sound wave travels through the substance, eventually bouncing off the back wall & returning through the material to the transducer. The returning wave is then converted back into an electric signal by the transducer and sent to the electronic thickness tester. An internal clock times the duration of this event & a receiver in the tester records the intensity & shape of the returning sound wave. Using the speed that sound travels through the test material, and the total transit time, the thickness tester can calculate the thickness of the object. The shape of the returning pulse can also be interpreted to indicate the condition of the material. Ultrasonic transducers generate & receive sound waves throught the use of piezoelectric crystals. The crystals are distinct in that they vibrate when exposed to an electric current. It is this vibration that creates the required sound wave. Conversely, when a piezoelectric crystal is exposed to a sound wave it will produce an electric signal. A thickness tester uses this phenomena to introduce a sound wave into the test material and to measure it's thickness. There are two common designs of ultrasonic transducers utilized for marine thickness testing, single element & dual element. As the name implies, single element transducers are constructed using a single piezoelectric crystal. This crystal transmits the intial pulse & receives the returning echo. The design allows for precise thickness measurements to be performed on relatively smooth surfaces but single element transducer have difficluty measuring heavily corroded materials. The single element transducer does provide increased sensitivity for thickness testing of composite materials. Dual element transducers are constructed using two piezoelectric crystals. The crystals are mounted side by side, angled slightly inwards towards eachother. One of the crystals transmits a sound wave & the second crystal receives the returning echo. This design allows for greater acccuracy when measuring heavily corroded surfaces. Dual element transducers can also tolerate higher temperatures when measuring hot components. Due to their complementary characterisitcs both dual & single element transducers are used in the thickness testing of marine structures. Contact us for more information regarding ultrasonic thickness testing.